Portland’s Multnomah Athletic Club proudly hosted the 2018 Pacific Northwest Regional Championships, featuring defending regional champion, current Oregon state champion and R48 #20 Dalton Beall, Oregon superstar Cody Townsend, former R48 semifinalist Aaron Garner, former national open champion Ryan Grossenbacher, WPH ambassador Stephen Stenberg, Matt Steele, Sean Steele, and a number of contenders from the Pacific Northwest. 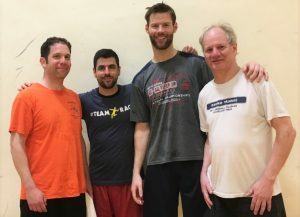 2500 miles away, Erie, PA hosted the 7th Annual 2018 Great Lake Handball Doubles Shootout at the Downtown YMCA, featuring top players from PA and Ohio, including top six WPH Pittsburgh Ladder stars Andrew Joseph and Mathieu Pelletier and the father-son teams of Bruce and Joe Frankenfeld and Jeff and Jay Cattron. 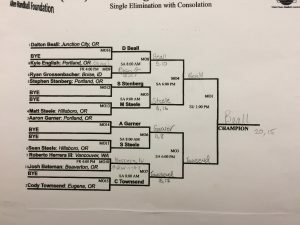 Portland, OR- The Pacific Northwest’s top two stars met in the Pacific Northwest Regional final, as current Oregon State champion Dalton Beall outlasted a hot-handed Matt Steele in the upper bracket semifinals and Cody Townsend turned back former R48 Elite 8 invitee Aaron Garner in a slugfest in the bottom bracket semifinal. 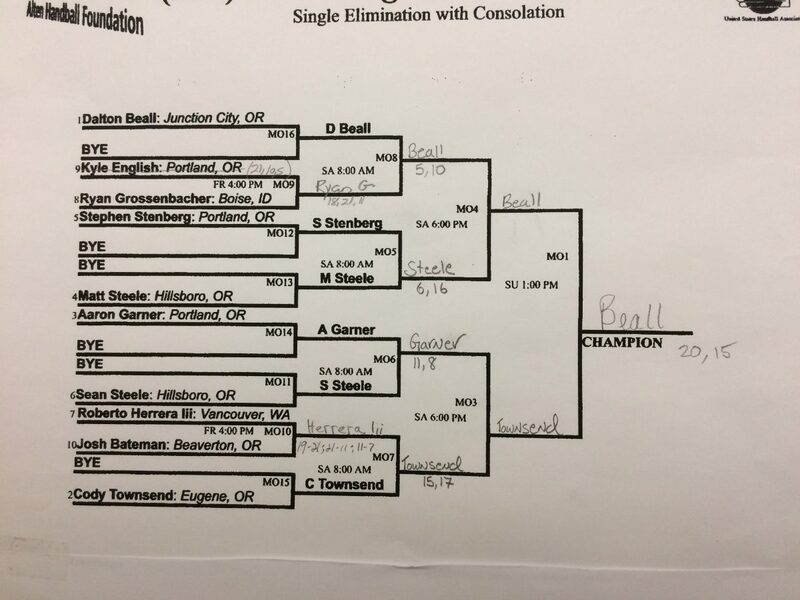 Beall and Townsend not only play in virtually every major final in the Pacific Northwest, but also play weekly in Oregon. “When Cody had his baby a few months ago my game really suffered because we weren’t able to play much,” stated Beall. The final was an epic clash between the two great friends and class of the Pacific Northwest. Townsend started hot in game one, racing to a 10-4 lead, only to see Beal rally to take a 16-13 lead. Another momentum change saw Townsend reel off seven straight points to take a 20-16 lead, only to stall and open the door for five unanswered points and a one-game lead for Beall. Beall extended his scoring streak to 10 to start game two, taking a 5-0 lead and threatening to pull away from the Pride of Eugene. Beall kept his foot on the gas, extending his lead to 16-6. “Kills, re kills, and dives all over the place,” barked referee and WPH reporter Nick Flores. Townsend cut Beall’s lead to three with an offensive clinic. 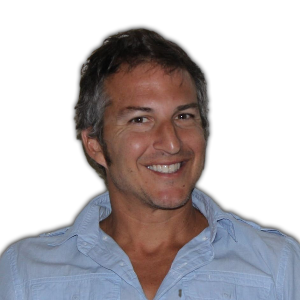 “Cody starting raining kills from everywhere,” reported Flores. Beall withstood the Townsend attack and reached match point at 20-15. A 28-shot rally ended with a Beall kill and championship, earning DB his second Grand Slam in a row: State Singles and State Doubles + Regional Singles and Regional Doubles in the same season. Thank you to WPH reporter Nick Flores for the updates from Portland. 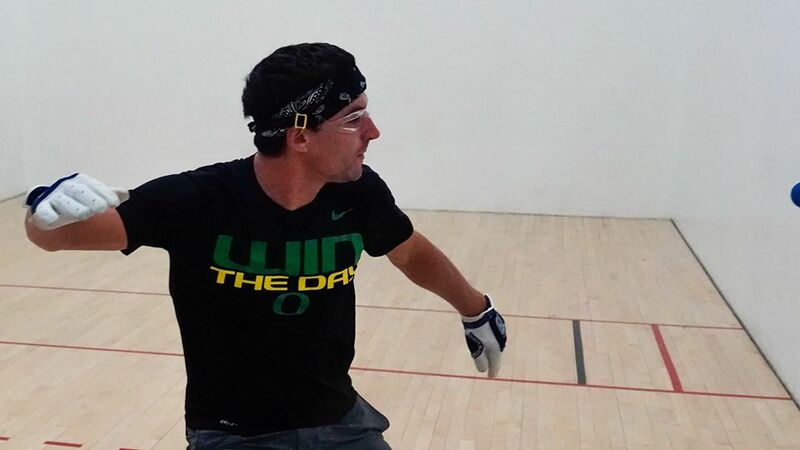 Erie, PA- Top six WPH Pittsburgh Ladder stars Andrew Joseph and Mathieu Pelletier made the 135-mile mile drive north from the friendly confines of the Steel City to the Great Lakes in Erie, PA for the 7th Annual Great Lakes Handball Doubles Shootout at Erie’s Downtown YMCA. Pittsburgh’s #3 Joseph and #6 Pelletier teamed up for the first time in major doubles play and cruised to the final with a straightforward win against Ohio’s Carlos Vasquez and Pete Giavarra. Awaiting Team Jolletier in the final was the father-son due of Bruce and Joe Frankenfield, who defeated Sharon, PA’s father-son team of Jeff and Jay Cattron. Joseph was seeking revenge against Joe Frankenfeld in the Great Lakes final, having just lost to Joe in overtime in round robin play at the recent WPH PA State Championships, costing Joseph a shot at the PA State title. The always-confident Team Jolletier were dominated in both games of the final, as the Pittsburghers trailed Team Frankenfeld 15-21, 13-20. Serving for the match and the championship, 6’4 left-handed flamethrower Joe Frankenfeld ripped a power serve down the left, only to watch helplessly as a Joseph punch fist return struck Big Joe square in his mouth, jarring several teeth loose and creating a strong flow of blood. Joseph immediately started the injury clock on his cross state rival, resuming play right at the 15-minute mark. Following the break, Team Pittsburgh earned a side out and served out the second game, scoring eight straight points on the first server. The tiebreaker was one-way traffic for Team Jolletier, as the Pittsburgh Ladder stars allowed just one point, scoring 19 of the final 20 points of the bloodbath. “When Pittsburgh and Cleveland get together, there will be blood,” stated Team Jolletier.